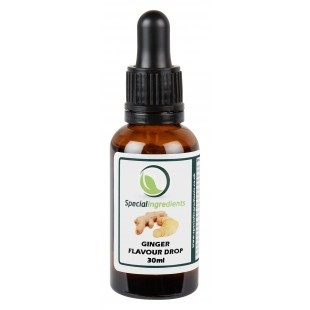 Add the exotic flavour of ginger root to virtually any food or drink. They are full strength catering grade flavours - not diluted. A great alternative for making sugar-free foods and drinks, they add flavour and not sugar, suitable for diabetics. Brown mobile liquid composed of water, ethyl alcohol, flavouring preparations, flavouring sub-stances, colour E150d.